We select top quality six-year-old Chinese Red Ginseng roots grown in the Chang Pai mountains in the Jilin Province - because they are renowned for their long-term stamina building capibiIities. 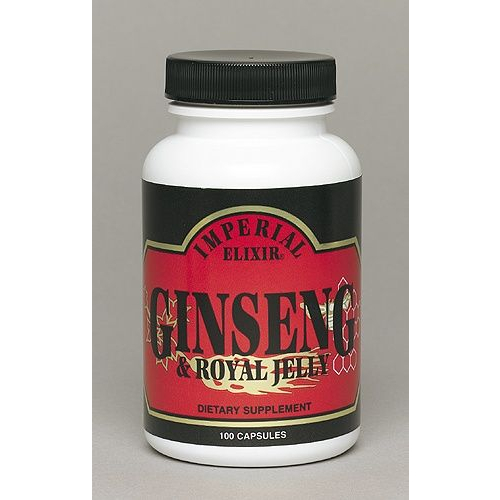 We combine the ginseng with fresh, freeze-dried Royal Jelly with its rich amino acid and B-vitamin composition that enriches and nourishes. A popular product for yin people looking for both a quick boost from the Royal Jelly and stamina enhancement from the Ginseng. Ginseng and Royal Jelly -- Each capsule contains 500mg of pure Chinese Red Ginseng (Panax ginseng) root powder and fresh, fteeze-dried Royal Jelly powder (3:1 concentration) -- 100 capsules per bottle.